The VW-Bug Museum in Gaal, Styria presents this world-famous and legendary model in its total multiplicity with wonderful exhibits from start to rebirth. Design, reliability, extravagance - cult vehicles in any quantity! The museum enjoys a cult status with its 350 m² museum space. 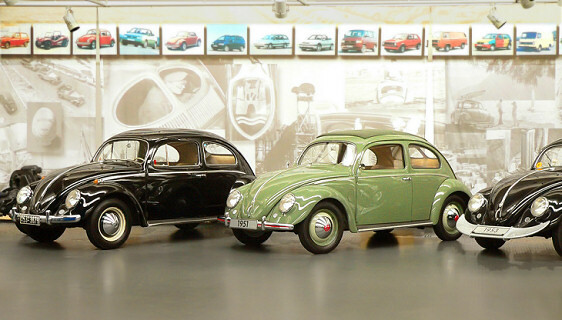 The VW-Beetle Museum offers not only rarities but you have the chance to demonstrate your skills by trying one of the three race simulators.